Large cast, mostly male. See below for minimum cast, chart of vocal ranges and voice “parts” for main roles, dance requirements, and additional casting/characterization notes per role. Several delegates being eliminated (2017). Minimum players: 19 delegates + 2 Jackson roles + 5 female roles. Henry and all Shays supporters except Pitcher are planned as double-cast. Females may be added to provide choral balance of Company choruses. Low-voiced females may be cast in male roles if played believably as male. 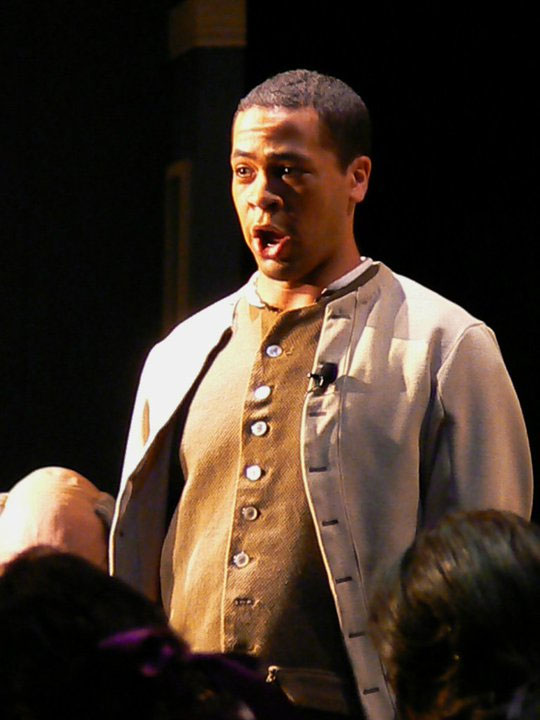 It also is possible to replace Jacob Good’s lines and role with the role of Jackson, the Slave, though Good is written as a separate character. Historically accurate, the nicknames given Young Lions (YL), Old Patriots (OP), and Grumbletonians (Grmbl), were applied in 1787 to describe delegates having similar interests. These were neither mutually exclusive groups nor automatically assigned by age. With limited historical documentation of Jackson, Washington’s valet and slave, the character here is modeled on William Lee, who had been at Washington’s side for most of his life. CASTING NOTES – At least a couple from among the delegates, additional to Washington, have a featured dance in “In Committee,” while nearly all delegates have some modest dancing in that song. Nearly all delegates have solo vocal lines. 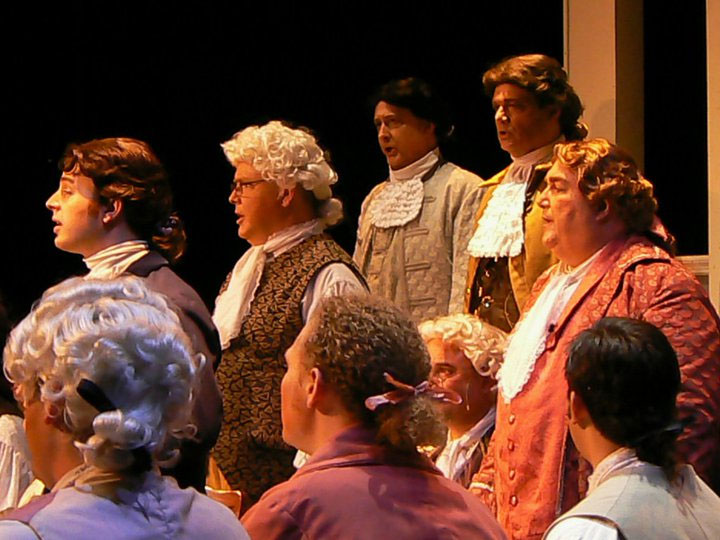 All cast members in Company choruses must part-sing, and chorus vocal parts are assigned for balance. (MIDI recordings of vocal parts, for individual practice, are in progress.) Players with “character” voices can – and should – be cast in roles with selected solos. Players added to the chorus of the premiere were asked to provide period names, especially from their ancestry, for the printed program, as a means of investment in their characters.